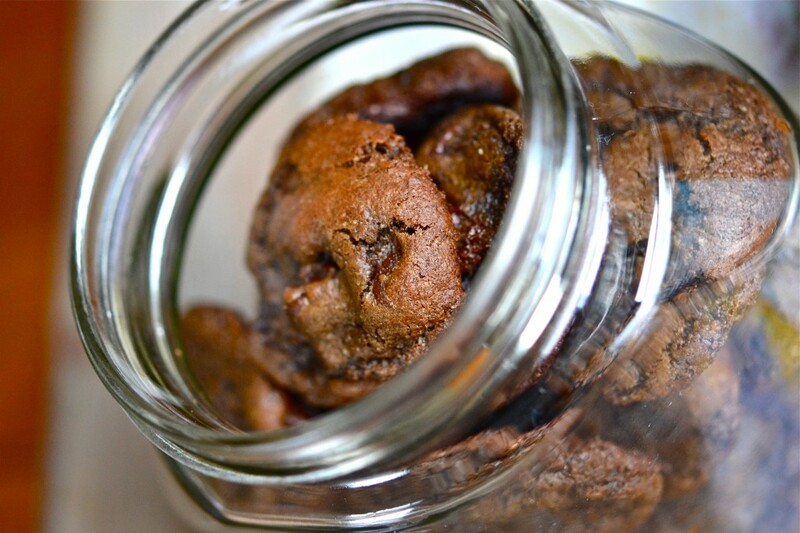 Double Chocolate Chip Cookies-in-a-Jar | Great gluten free recipes for every occasion. Mason jars look fancy, but they just cost a few bucks. Talk is cheap, so let’s get down to brass tacks. Chocolate-chocolate-chip-cookies are always welcome, especially when you’re someone’s guest this holiday season. If someone is playing host to you and yours, it’s the least we can do. If you invite me over, I’ll bring you both. You’ll fall under my spell. But in a good way. … and keeping it chilly so the cookies don’t spread too much when we bake ’em. 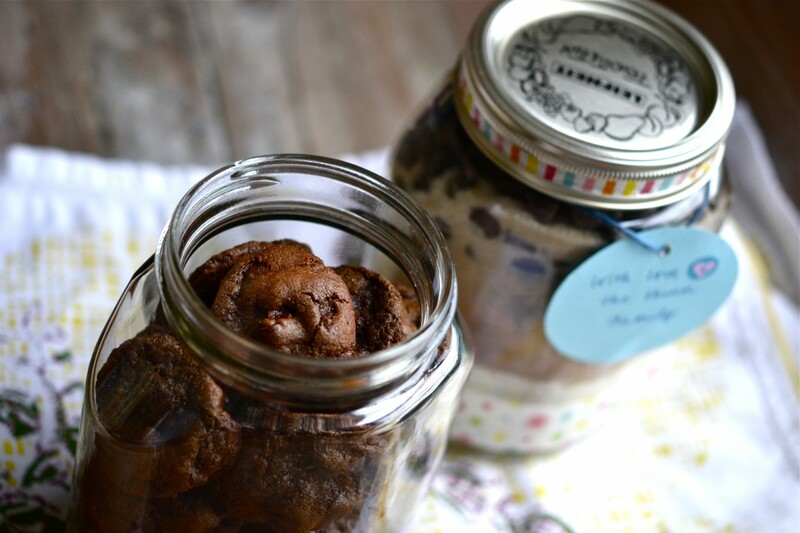 Then we whip up some cookies-in-a-jar double chocolate cookie mix, so your host can make her own. 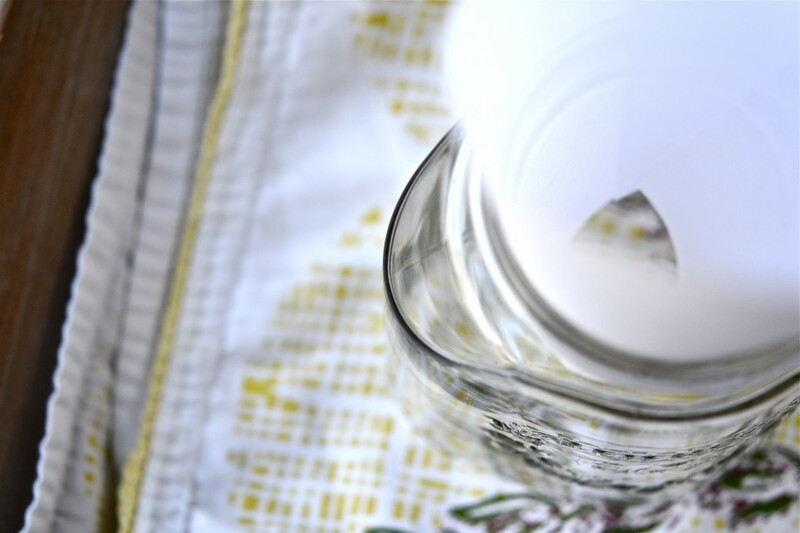 Start with a paper funnel in a pretty 1 liter (or 1 quart, which is roughly the same size) mason jar. Then pour in the dry ingredients, layer by layer. Add a hang tag full of love — from my family to yours. Another mason jar full of cookies, and you’ll have your host eating out of your hands. But maybe she’ll use a plate. Who knows. 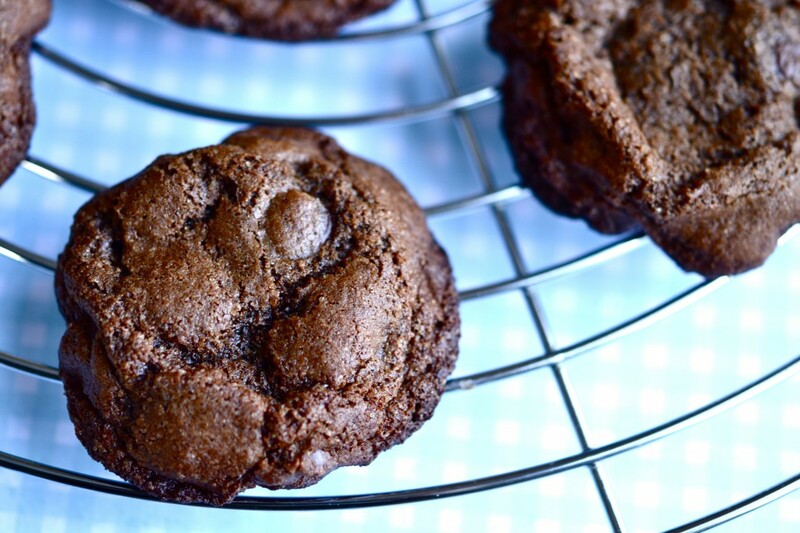 These double chocolate chip cookies are thick and chewy, with a deep, rich cocoa flavor. Nothin’ says lovin’ like chocolate. Jot that down, in case you forget. Don’t forget to read the note at the end of the recipe. I tell you all my secrets for getting the mix to fit neatly in the jar. To make cookies-in-a-jar, into a 1 liter (or 1 quart) mason jar, layer in first the flour, xanthan gum, baking soda, and salt, then the cocoa powder, followed by the sugar and, finally, the chips. 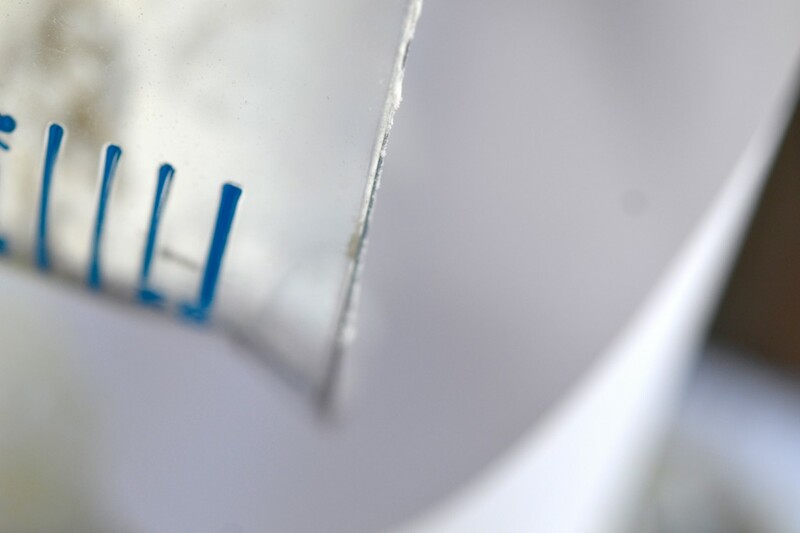 After each layer, tap the jar on the counter to help the ingredients settle into an even, compact layer. 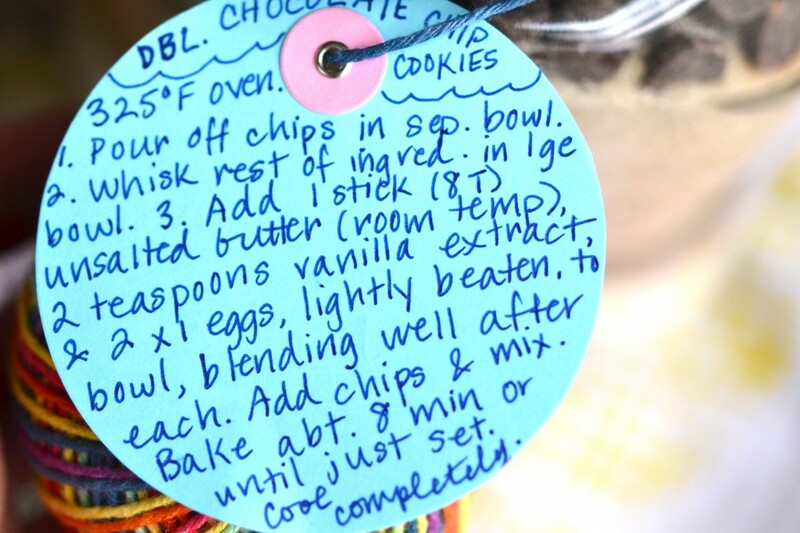 On a hang tag, write out the instructions for the recipient to make the cookies (see photo). Hello Nicole! Just making these now, and they look beautiful — I’m sure they will taste great, too. Being as they are cookies (my nemesis), I had a little trouble. My batter was too dry and crumbly, did not look like the picture. I love the pictures, by the way, very helpful. Anyway, I went with the trick of adding about 2 tablespoons of milk, and they seem to be perfect. Any other suggestions? Have a very Merry Christmas! So you can make any sort of yeast bread at all, essentially, but drop cookies are your nemesis? ;) I have 2 guesses (both of which are shots in the dark, since you haven’t told me much about your process or any substitutions): First, perhaps your eggs were not extra-large in size, which would cut down on the moisture a bit. Second, your butter wasn’t soft enough, which would mean that it didn’t really melt into the other ingredients as you were mixing the dough. When you’re baking cookies, it’s really important that all your ingredients be room temperature. Butter is easy enough to soften, and eggs can be brought to room temperature by immersing them in warm (not hot) water for a few minutes before cracking them. All of that is really important. And then, before you bake the cookies, then you chill the dough before baking it. Merry Christmas, Anneke. You can do it! I know, it is crazy, isn’t it? My eggs were actually jumbo, but possibly not warm enough. My butter was out for a few hours, but I only keep my house at about 64 degrees, so my room temp might not be your room temp! It seem pretty soft, but probably could have been softer. Would you say room temp is more like 72? I did put the cookies in the freezer, just like you said, and they baked up beautifully. No substitutions in these cookies, I am trying to follow the directions pretty closely for cookies, since they are tough for me. This batch was much better, just adding the milk worked out fine. I will keep trying! These look yummy, can’t wait to try them, thank you! Is there any issue with using salted butter rather than unsalted? You need unsalted butter. If you use salted butter, your cookies will be … too salty. Unsalted butter allows you to control the amount of salt in the recipe. Thank you so much for including the weight measurements of the ingredients!! I love that!! So very helpful! You’re very welcome. I will continue to include both volume and weight measurements — and plan to do the same in my next cookbook. Glad it helps! 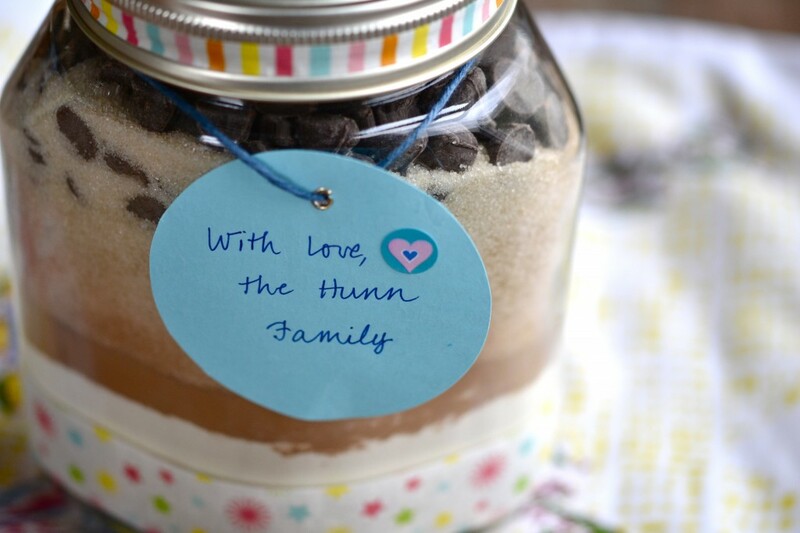 I used to make lots of these mixes in the jars for teacher gifts etc, and they are always appreciated. Although I never made the gee eff kind, now I will have to make these. Also, you could dress these up with a set of cute potholders or tie on a pretty spatula or a wooden spoon. Ohhh….. to make it a totally awesome gift, you could include a USA Pans cookie sheet. Which, by the way, if anyone else is in Westrn PA (Steeler Country); I saw the USA Pans line in the cookware section of a Giant Eagle supermarket. That all sounds great, Marty. Great to know that tip about finding USA Pans. Thanks! Sounds delicious-can’t wait to try them. Who wouldn’t LOVE to get a gift of one of these jars? I know I would! We just took the first batch out of the oven and they are delicious. I used virgin coconut oil. The texture reminds me of the gluten-filled days…chewy and moist. 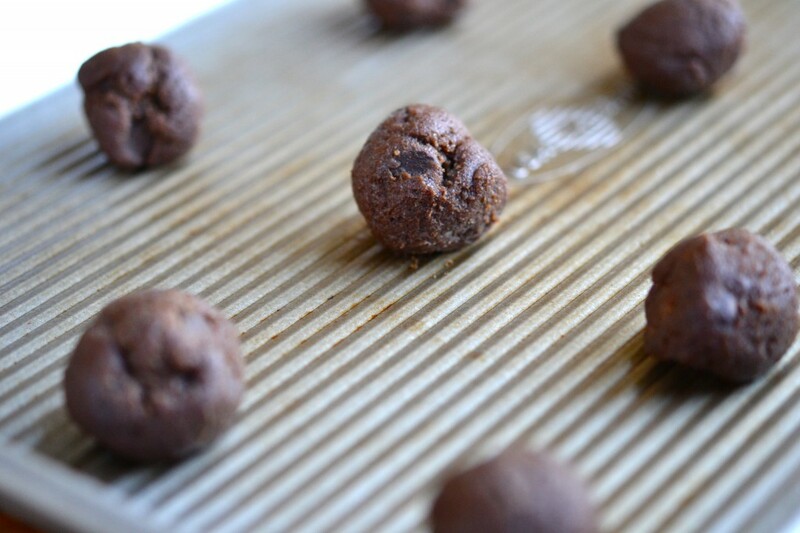 It’s so nice to know how to adapt recipes so my boy can enjoy homemade treats, too. Thanks so much for sharing! Thanks awesome, Megan. So glad! I love coconut oil. My husband isn’t a fan, or I’d use it all the time. Hi Nicole, these cookies sound divine. My almost 2-year-old is on a GF/dairy-free diet. Do you think I could use either coconut oil or vegetable shortening as a substitute for butter in this recipe? If not, any suggestions would be welcome as I’m new to the dairy-free world of baking. Thanks so much! If you like the taste of coconut oil, it’s a great substitute for butter in baking. Just do a 1:1 swap. You could also use a nonhydrogenated vegetable shortening like Spectrum, but I prefer the coconut oil. Just be sure you use Virgin Coconut Oil. I’d love to hear how they turn out! love this! thanks so much for sharing this idea! my pastor found out recently he’s also gluten-intolerant and he can’t stand all the fake tasting (the words he used) gluten-free baked goods available. i’ve made both muffins & cookies that “taste real” (again, his words) and brought them to church functions so my son, myself, and he would have treat options and wondered how i could gift him the ingredients instead of making them. this is perfect! question…you mentioned that you made these two years ago and they were flatter. i was wondering why you think that might be? i compared the recipes you posted and they look identical, just doubled. The other recipe was flatter by design. They had more butter, so they spread more. Drool, drool! 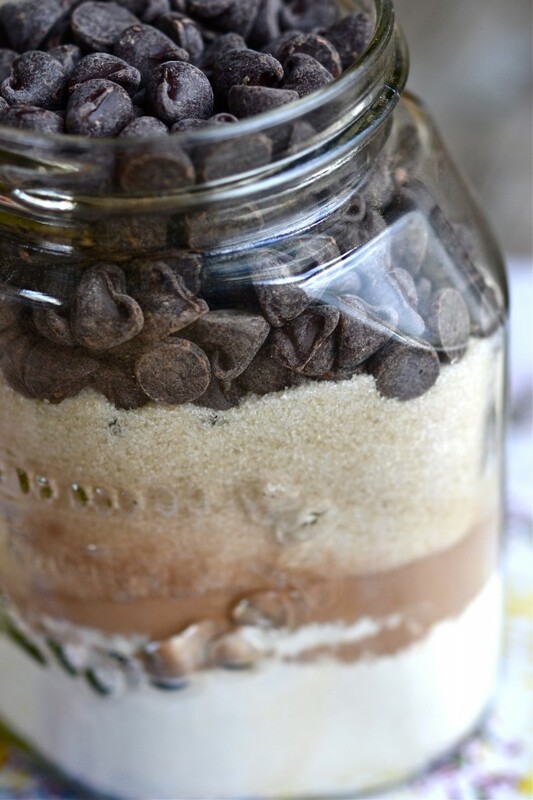 Another fun recipe & love the jar idea! um…i came back to this because i was thinking over lunch…what size Mason jars? Quart? Pint? Sorry about that! All I did was link to the jars I used, but didn’t specify the size. It’s a liter (or a quart, which are roughly the same size). OMG!!! 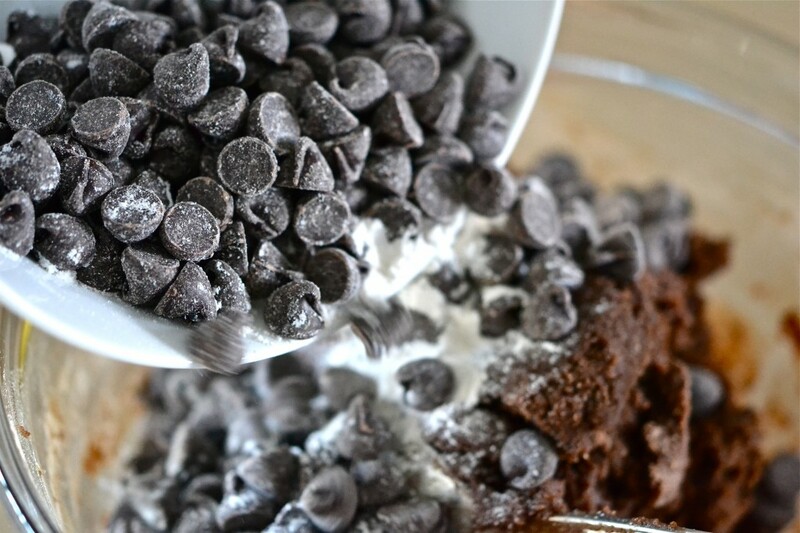 what a perfect gift to those who don’t know that gluten-free doesn’t mean flavor free! I know, right, Pam? I gave it as a gift to someone who isn’t gluten-free. It’s so important for us to remember that gluten-free food is good enough that it can be the envy of people who eat a conventional diet. Happy to spread the love!